Are You Being Paid On the Correct Legal Scale? Wages: At the end of the pay period, for most people, this is what working is about. Even if we love our work so much we’d do it for free, few of us can be unconcerned with being paid a just compensation for our labor, timely delivered. And that is what the wage laws are about. The wage and hour laws derive from two sources: the U.S. Congress, which enacted the “Fair Labor Standards Act” or “FLSA” and the State of California, which enacted a host of “Labor Code” sections that are further interpreted and administered by regulations through the California Department of Industrial Relations, Department of Labor Standards Enforcement [DLSE] and the Industrial Welfare Commission [IWC] which issues “Wage Orders.” If California law sets a higher standard for employer compliance, those California regulations will be enforceable without pre-emption by federal wage laws. Generally, California law is more protective and generous of employee wage rights. EMPLOYERS OFTEN STUB THEIR TOES ON PAY-STUBS. all applicable hourly rates; and all deductions. MISCLASSIFYING EMPLOYEES CAN RESULT IN MASSIVE WAGE VIOLATION PENALTIES. 2. Misclassifying employees as independent contractors exposes the employer not only to the penalties associated with the misclassification, which are substantial, but also to all the pay-stub and overtime violations and penalties related to paying a flat sum as compensation with no pay-stub or deductions. This type of case is attractive to Plaintiff’s attorneys because the law allows the employees to pursue a court action as a group similar to a class action, and called a “PAGA” case. The PAGA law allows employees to recover penalties that previously could only be collected by the State of California. WAGES ARE DUE AT LEAST BIWEEKLY. Employers must pay non-exempt employees at least biweekly. Each pay period becomes the basis for a new violation, and a new penalty. You should keep in mind that the “statute of limitations” is a rolling timeline, with each pay-period dropping off the recoverable lists of pay-period violations. This consideration is especially important in PAGA cases where the penalty is subject to a relatively short 1 year statute of limitations. EMPLOYEES CAN’T BE REQUIRED TO COVER THE EMPLOYER’S COSTS. Employers be warned: you can’t use the payroll to recover for losses that may be related to employee actions, but which are not caused by wilful destruction or intentional loses. That is, damage or liability by employee negligence is a cost of doing business, and is not subject to indemnification or payback by the employee. If you loan an employee money, you can’t recover the loan from payroll without a signed written agreement, and the amount must never leave the employee with less than the minimum wage as paid wages. Also, if some deductions have been taken from paychecks, but a balance remains on termination or resignation of employment, the employer cannot take a “full repayment” from the final paycheck. Give me a break. In fact, give me at least a truly free, uninterrupted 30-minute meal break for each five hours worked, with the break to be no later than the fifth working hour. Also, the employer must provide a 10-minute rest break that is truly free from compelled labor. The break is due for any major fraction of a four-hour block of work, and to the extent practical should be provided in the middle of the four-hour block. Employers who have “official” break policies, but in fact have department wide work practices that require skipping breaks, or department, plant, or office-wide work demands that make breaks highly impractical, or that result in discipline for not completing work due to taking breaks – will be in violation of the law, and subject to numerous pay-period penalties. TIME IS MONEY, ESPECIALLY IF VACATION TIME. As you might infer, commissioned employees who are non-exempt should keep track of their hours to insure correct calculation of their “regular hourly rate” in order to make an accurate claim for overtime. But remember too, it is the employer’s legal duty, not yours, to comply with the record keeping laws. These include data showing hours worked. So, the burden of proof will be on the employer to refute your estimate with company records showing your true time worked. Overtime law in California is more protective of employees because it relies on a “primary duties” test for “exempt” status. First, let’s clear up a common misconception among non-lawyers about “exempt” status: your managerial title and that you receive a salary DO NOT equate in the law to “exempt” status. What does matter is whether you spend more than 50% of your time in a work week doing basic non-managerial work activities, similar to those of persons you allegedly manage. Such persons are sometimes called “working managers” or “team leaders.” Yes, they supervise, but no more than 49% of their time. 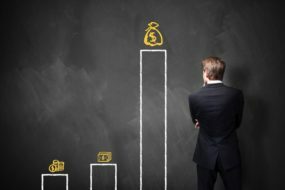 You may even be a true manager, but if you earn less than about $33,000 per year in “salary,” you still would not be exempt. The overtime laws are not the same for every occupation. The Industrial Welfare Commission [IWC] issues orders defining when overtime is due for each unique industry. Basically, there are 4 major exemption classes: Executive, Administrative, Professional and Artistic for Wage Order No. 4: (covering professional, technical, clerical, mechanical, and similar occupations). While these classifications and guidelines differ, the upshot is that most employers improperly treat their so called “managers” and “administrative staff” as “exempt.” In California, a wave of overtime misclassification class action cases over the last ten years has caused me companies to re-examine and change their classification scheme. This has a positive long term effect for employees and the overall economy. But many violations remain, especially in the area of misclassifying employees as independent contractors. WORKING “OFF THE CLOCK” IS LIKELY COMPENSABLE. Compensable time can include time “off the clock” when the employer knows you have to work extra hours to meet the demands of the job, but also informs you that you may not work overtime without prior permission. Of course, overtime will not be approved if you request it, and if you don’t work the overtime you could be disciplined and fired for failure to perform. Is there a way out of this trap? California law imposes a duty to pay overtime and penalties for hours not compensated when the employer “suffers the employee to work the hours.” This phrase simply means the employer knows the work is being performed, does not intervene to stop it, and accepts the benefit of the labor. The employer may not raise the “official” ‘no overtime” policy as a defense. AN INSIDE COMMISSIONED SALES PERSON, OR AN HOURLY WORKER PAID BONUS, IS ENTITLED TO THE AMOUNTS PAID INCLUDED IN THE “REGULAR HOURLY RATE” CALCULATION FOR OVERTIME. 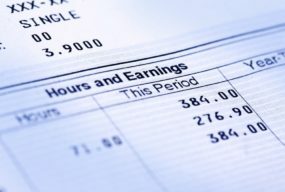 If you’re a commissioned inside sales person or a non-exempt employee receiving a bonus, your variable commission for a work week or your non-discretionary bonus must be calculated into your pay-period to arrive at the “regular hourly rate” to be applied to the overtime calculation for hours worked that pay period. Complex? Can be. Basically, the total earnings for the hourly rate in California must be calculated on the basis of 40 regular work week hours (as compared to the federal law, which relies on all hours actually worked in that week). For an explanation of this calculation, go to California Labor Commissioner. OUTSIDE COMMISSIONED SALES PEOPLE — A NEED TO CHANGE THE WAGE LAW. The least wage protection offered to any group of employees is the true “outside sales person.” These persons do not report to a basecamp office or work from home. They truly are always on the road. The injustice: the law exempts these employees from either the protections of the minimum wage or overtime laws. This is to say, such employees can work long hours everyday, seven days a week, and be paid nothing. This is a law that must be changed based on public education and outrage. The overtime rate in California is by the day, not the week, as applies under Federal wage law. That is, California employees are paid for each hour over 8 in a day. For hours between 8 and 12, the rate is 1.5 times the regular hourly rate. Over 12, the rate is 2 times the regular hourly rate. After 40 hours worked in the workweek, that is usually the sixth day of the work week, the rate is 1.5 times each hour worked, and 2X the rate if over 12 hours. A seventh consecutive day also will produce 1.5X the regular hourly rate for each hour worked, and 2X for each hour over 12. If you are a non-exempt employee, but paid a salary, the “salary” is treated by law as the basis for an hourly rate, and you remain entitled to overtime. That is, your salary will be divided by a presumed base of 40 hours to arrive at the hourly rate, and it will be subject to a premium adjustment of 1.5X for each hour over 8 in a day, and 2X for each hour over 12. See also point 12 immediately above. In California, employees cannot be required to work more than 6 consecutive days without a day off. If the employer demands you work he seventh day, and you refuse as a matter of legal right, the employer would be subject to damages for wrongful termination if it fired you in retaliation. As a practical matter, it would be wise to get the employer’s demand in writing, and of course to respond in writing. The California wage and hour laws are designed to require employers to pay what is owed when it is owed, and to avoid deductions that shift the cost of doing business to the employee. Penalties are assessed against non-complying employers. These penalties can be recovered not only by the State of California, but also employees, through statutes known collectively as the “Private Attorney’s General Act [or “PAGA”]. A steady attack of overtime violations by class action litigation has caused many large California employers in the last 10 years to reform their pay practices. The wage and hour laws usually include a provision for recovery of attorney’s fees. Small cases can result in judgments awarding fees greatly in excess of the underlying wage claim. Claims for overtime are especially threatening to employers given the relative ease of proving the claim, and the potential for fees and costs to be paid to the successful employee. Finally, both the labor code, and California case law protect employees who are disciplined, demoted, or fired because they assert their wage rights, either informally to management or formally by an administrative complaint with the California Labor Commissioner. See CA Dept. of Labor Standards Enforcement.